Janine Vangool is the publisher, editor and designer of UPPERCASE, a quarterly print magazine for the creative and curious. 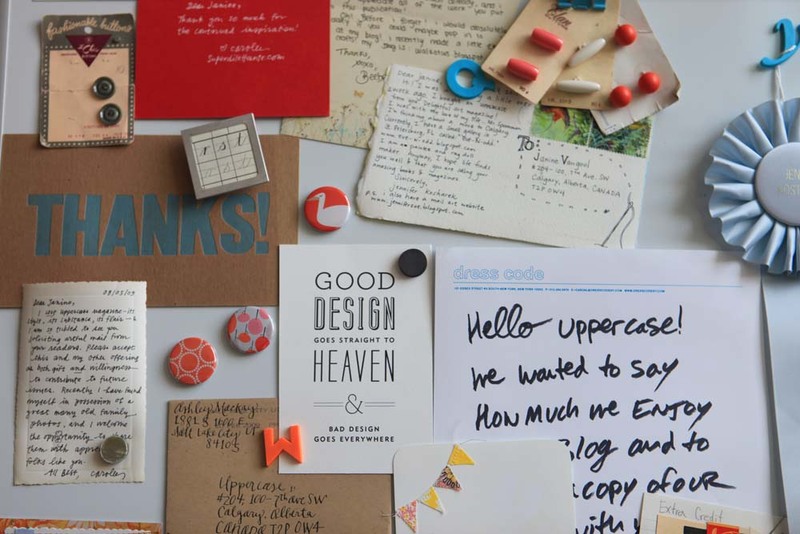 UPPERCASE publishes content inspired by design, typography, illustration and craft. Her magazine and books celebrate the process of making, the commitment to craft and the art of living creatively. Janine got her start working as a freelance graphic designer in for arts and culture clients and has also taught typography and publication design at the college level. 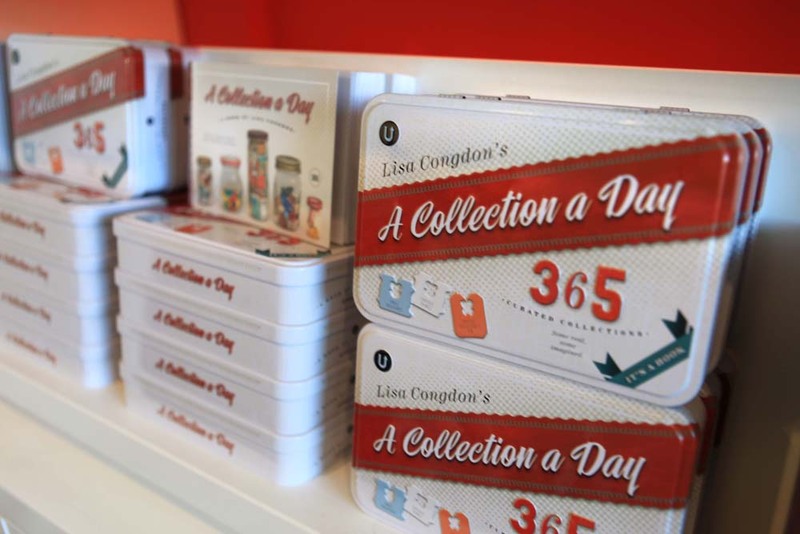 She has been a shop owner and bookseller, gallery curator, sold a line of greeting cards wholesale, made 10,000 books by hand (with lots of help!) and has sewn her own products for retail. She has a particular fondness for typewriters, a passion that has inspired a book about their graphic history. 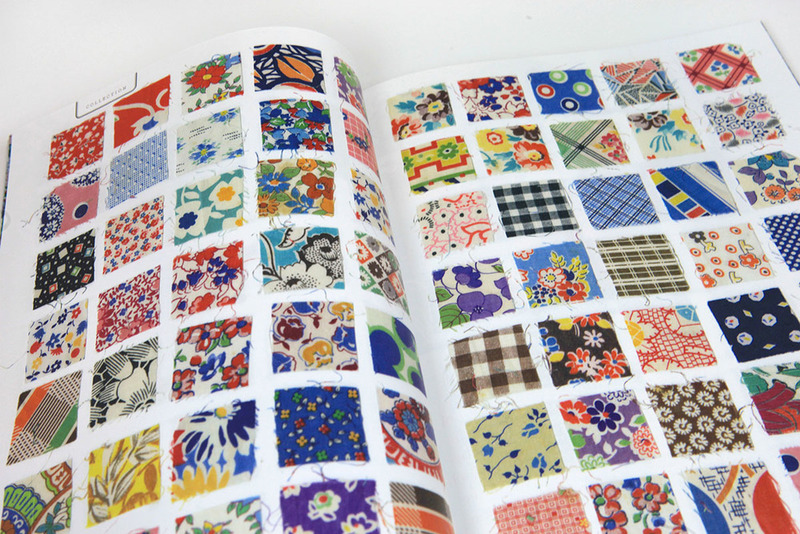 Her debut fabric collection is launching in June 2016 with Windham Fabrics. She is often asked, “Do you ever sleep?” To which she replies, “Yes! By the end of the day I’m exhausted!” She lives in Calgary, Canada with her board-game- designing husband and curious son. The magazine would not be possible without the excellent contributions of our generous and talented writers, illustrators and photographers—and the loyal support of its subscribers! How would you describe the philosophy of UPPERCASE? The tagline for UPPERCASE magazine is "for the creative and curious" and this really is the somewhat loose guideline to content appearing in the magazine. Though the content is based in graphic design, illustration and crafting as its starting points, with such a broad statement the articles can be quite eclectic. I think it is this curious bent that makes the magazine unique and hopefully surprising with each new issue. We like to support the creative endeavours of our readership and therefore much of the written content, photography and illustration is commissioned from our subscribers, open calls for submissions and through connections made in our social media circles. I strongly believe that the magazine is a collaborative effort with its readership. How do you come up with a theme for each issue? What are the benefits to publishing a paper magazine in a "digital age"? 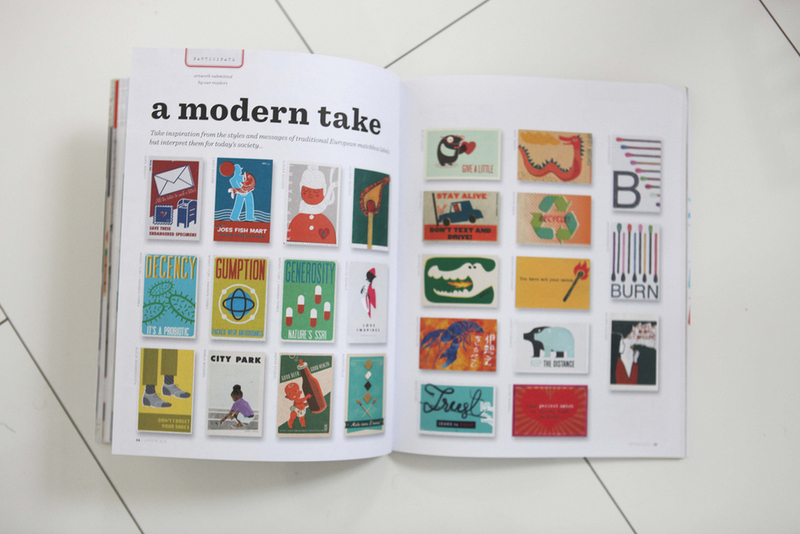 The physical format of UPPERCASE magazine is part of its appeal—it is something that you hold, carry, collect and keep. I always strive to make each issue an object that is well-crafted and has attention to detail in its paper stock, special print processes or formats... these are the things that make print so special. Unlike digital magazines, which I think promote attention deficit, when you're reading a paper magazine you have more commitment and a more intimate experience! Please tell us a little bit about yourself, your background, where you are from, and how/why you started UPPERCASE. I graduated from the Alberta College of Art & Design in Calgary, Alberta, Canada, back in 1995. I originally imagined that I would get a graphic design job at a creative firm, learn the ropes for a few years and then start my own company. In actuality, the local job choices were slim. I did get a position in a small firm and my job was mostly mundane and uncreative and I was miserable. After half a year, a freelance opportunity came about and I decided to quit the safety of the day job and work on the freelance job instead. It was the best decision to have made! I met lots of people who liked my work and work ethic and were my champions. Suddenly I was freelancing full time on very covetable jobs in the local Calgary arts community as Vangool Design & Typography. After working freelance out of my home for a decade, I was ready for a change of scenery. Art Central was a new concept in the city's downtown: a central 3-story building with art galleries, small boutiques and studios. Enthralled with the concept, I envisioned a public design office slash bookstore slash gallery where people could see design in action. So I moved my design company into Art Central and created a new brand called UPPERCASE. Though initially UPPERCASE was meant to be a small side project to my design career, I quickly became addicted to creating my own products to sell on my shelves. Starting with notecards, I progressed to handmade notebooks, hand sewn paper pouches, assembled packs of wood type and other type treasures… it was fun to conceptualize, design, package and sell my own things. When designing the UPPERCASE logo and concept, though, my ultimate goal was to publish my own books. In 2007, I published The Shatner Show and hosted the companion gallery exhibition: 76 illustrations inspired by the life and career of Canadian icon William Shatner of Star Trek fame. It was an odd choice to start my publishing experience, given that I was not a trekkie or super fan, but I was intrigued by the possibilities and the potential interest there would be in such a project. The show was a success, Shatner endorsed the book project (and even mentions it in his autobiography!) and it definitely put my little gallery on the map. 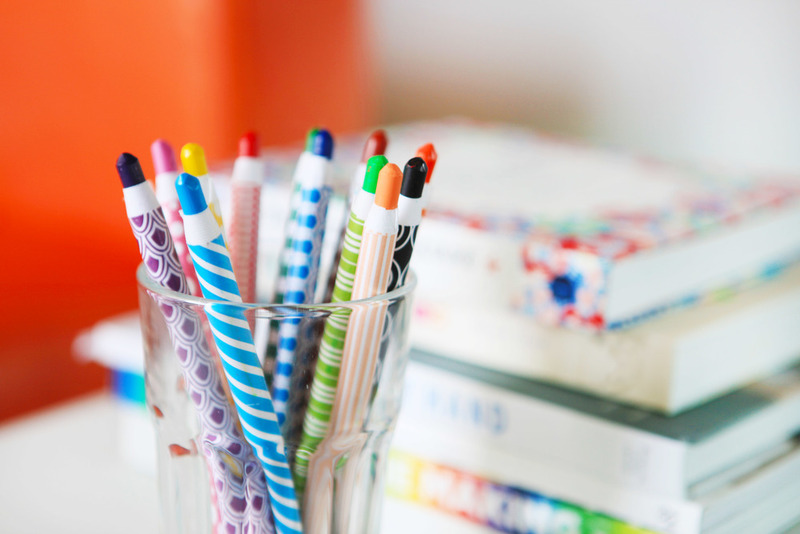 The biggest effect was that I knew this was the course for me -- conceptualizing content and bringing them to life suited me to a T.
You are involved in so many creative projects — books, design, publishing, the list goes on. Could you describe your creative work process for us? How is it different for each type of work? Where do you get your inspiration? Though I do produce a lot of different things (magazine, books, fabric collection and more), the main thread through it all is a love of good, inspiring content. I have always been a designer that responds to the written word. I need good content in order to be a good designer. As a publisher, I can work with content that I love—resulting in products in which I have put my heart and soul into. 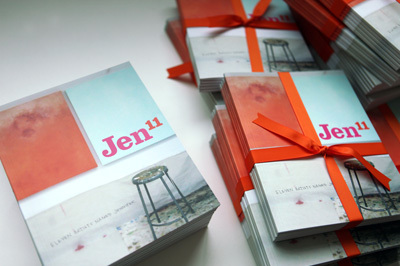 With the Suitcase Series, for example, each book is a monograph all about a particular artist. I get to immerse myself in their world and create a book that is equal to that experience. Camilla Engman, the lovely Swedish artist, was my first subject in the series. I travelled to Scandinavia to meet her and we worked on the book together to create something that was a synthesis of both of our creative visions. For the magazine and potential book projects, inspiration comes from surrounding myself with possibilities. Through blogs, Instagram, Etsy, Twitter, emails, conferences, books and collections of things that I love… it's all around me both in a physical way and also virtually. I begin to see common features, happy coincidences, trends… and inspiration comes from that. 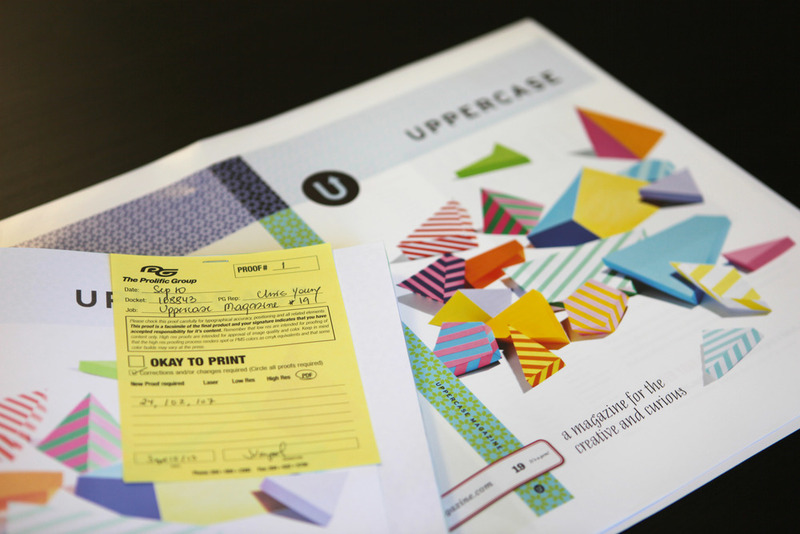 I am very inspired by the talented people who subscribe to UPPERCASE magazine! Whenever possible, I make the effort to get to know who they are… through Google, portfolios and social media. I find out what they do, what they like… Very often subscribers become subjects or contributors to the magazine. What would you advise someone who is trying to develop a personal style? Make sure that you keep it personal! Don't try to force something that feels unnatural or fake. No one will respond to it. I sincerely pour all my efforts and available funds (and then some) into everything that I produce. There is no compromising. The phrase "labour of love" rings true with UPPERCASE. This hard work, sincerity and commitment is the UPPERCASE style. Supporting yourself as an artist/designer is an overwhelming topic for many people. Could you give us some advice about developing multiple income streams and other strategies that have worked well for you in your creative career? Since I began freelancing so soon out of college, I was "young and carefree" and my only responsibility was paying rent. Freelancing is not a career path that allows you to predict your income so I quickly became tolerant of the fluctuations. This tolerance and ability to take calculated risks is something that I am grateful for now since my income has never been steady or a sure thing in all of my adult life! The one thing I have always been sure of is that I have the ability and talent to work; this gives me confidence to take risks. I opened UPPERCASE gallery a few months before I got married; the magazine launched before my son was born. Looking at UPPERCASE now, it would have been near impossible to launch it all now! Ensuring that UPPERCASE can support our family is my job. So self-confidence is important and risk tolerance is an asset as well. 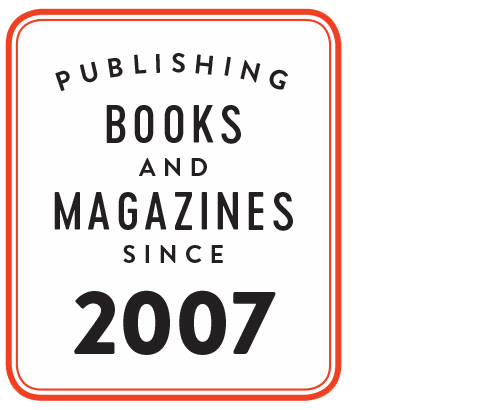 I am amazed by the number of books and magazines you publish. How do you do it all? Could you please share some of your time management strategies with us? People often ask "How do you do it?" The answer is simple and difficult at the same time. I just do. Each magazine issue, each book, has its own set of steps. If I just do one thing, then the next, and the next... just keep going and it will get done. Some of the steps are easy and joyful (design, editing, creating), other steps are long, arduous, stressful and not much fun at all (logistics, bills, shipping). But even when the steps seem painfully impossible, I know that if I just push my way through, things will get done. And so even getting one step done in the long process becomes a reward in itself. f you could give advice to someone who would like to start pursuing their creative dreams or take them to the next level, what would it be? Identify whether want you want is a fantasy (i.e. not likely to happen) or something that exists in the realm of possibility. If it is possible, identify all of the steps, both big and small, that would be required to make the dream happen. Start with step one and plug away! For example, I knew I wanted to publish my own books someday, so when designing the logo for UPPERCASE, I made sure that it would work well on the spine of a book! Though actually publishing was a few years off, I had accomplished one of the steps earlier on.